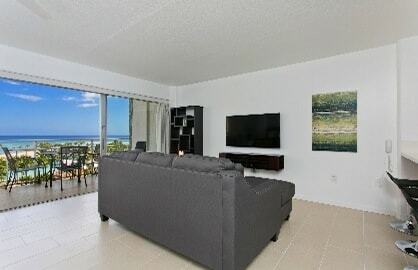 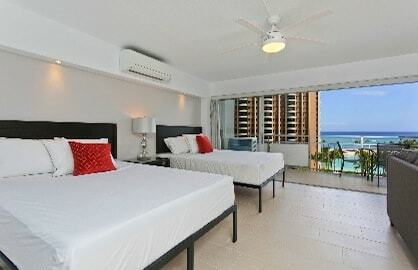 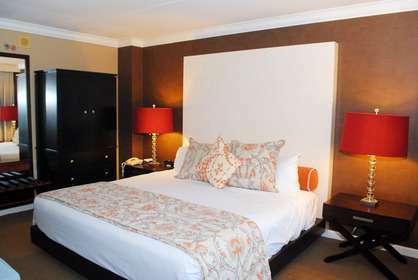 BRAND NEW - 2 Bedroom Ocean Views! 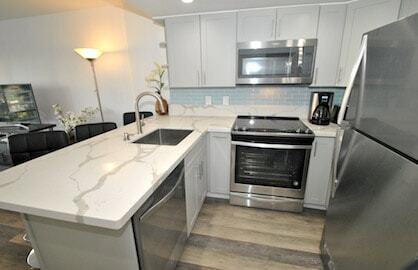 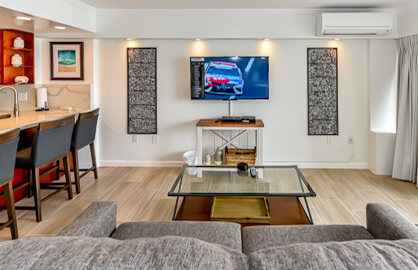 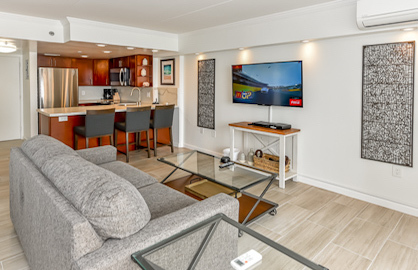 This awesome 2 bedroom, 2 bath, 1000sf luxury condo with two separate balconies just completed a total remodel in October 2018. 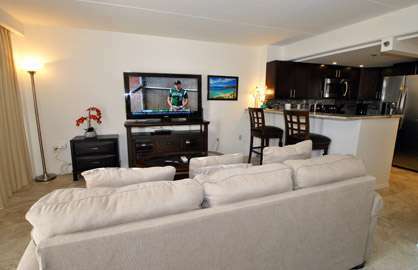 The condo has beautiful plank tile flooring throughout so easy to keep clean, new modern open quartz kitchen and breakfast bar with stainless steel appliances including fridge, oven, stove, microwave and dishwasher. 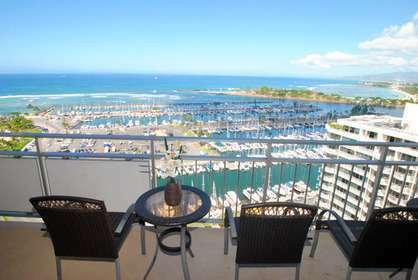 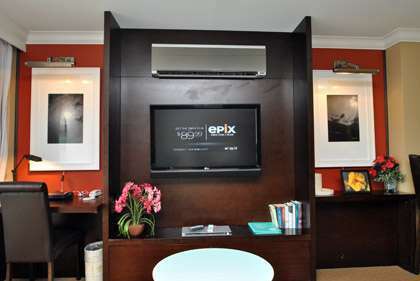 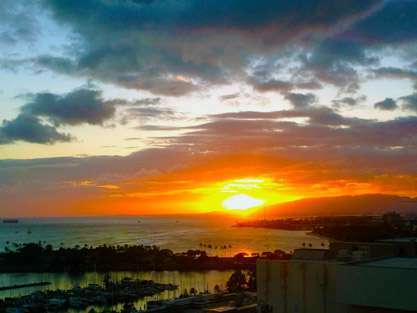 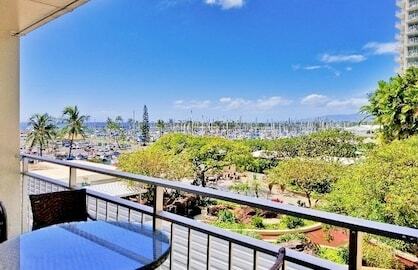 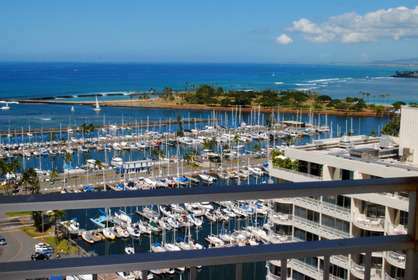 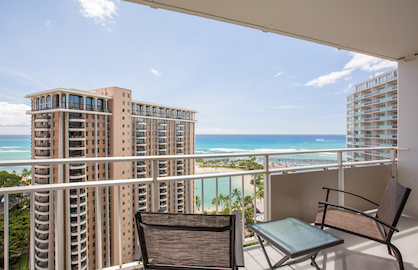 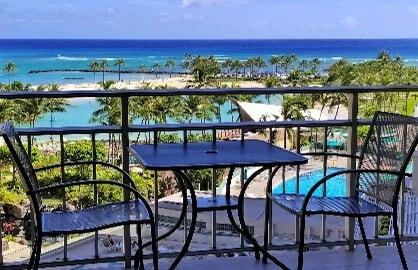 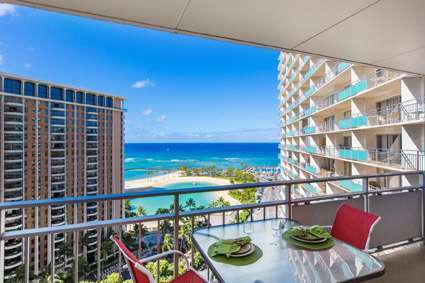 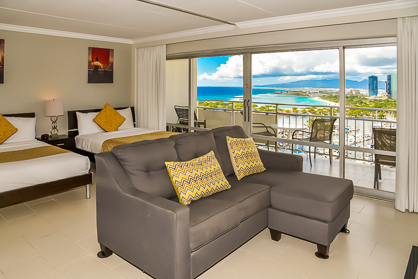 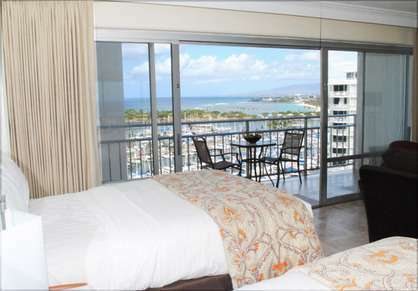 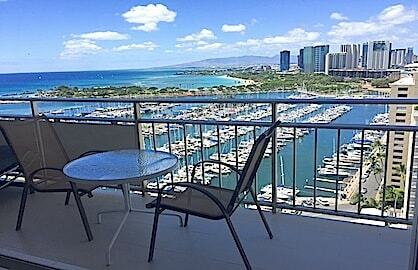 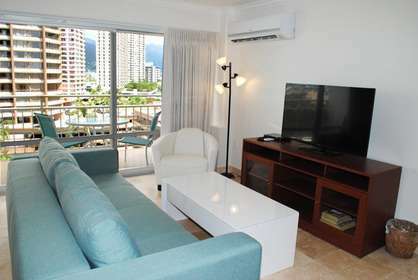 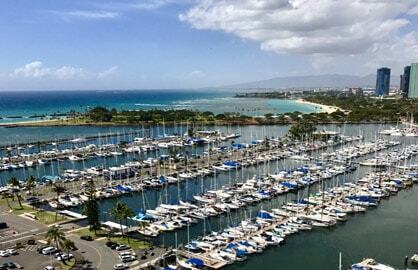 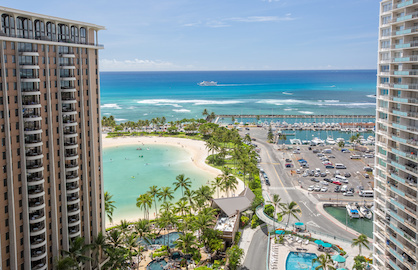 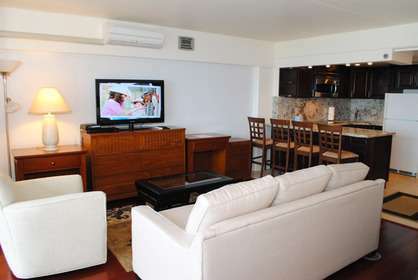 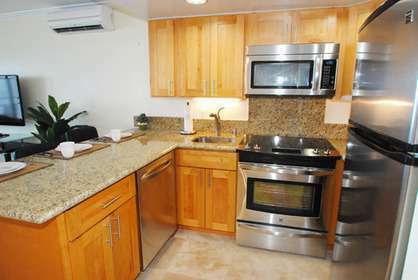 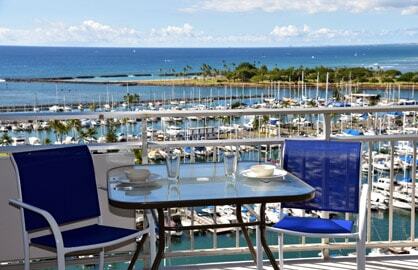 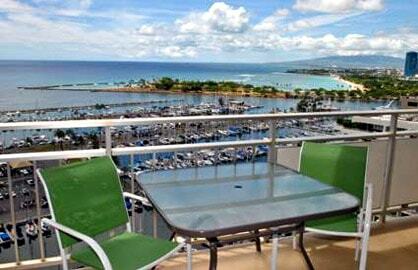 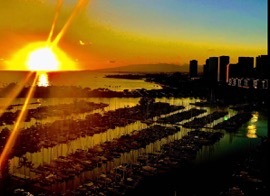 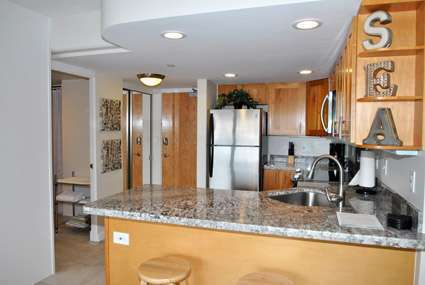 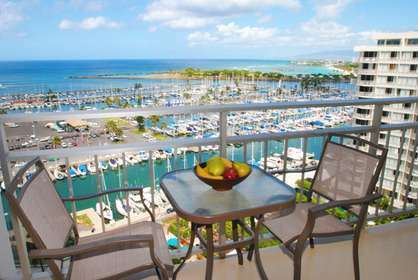 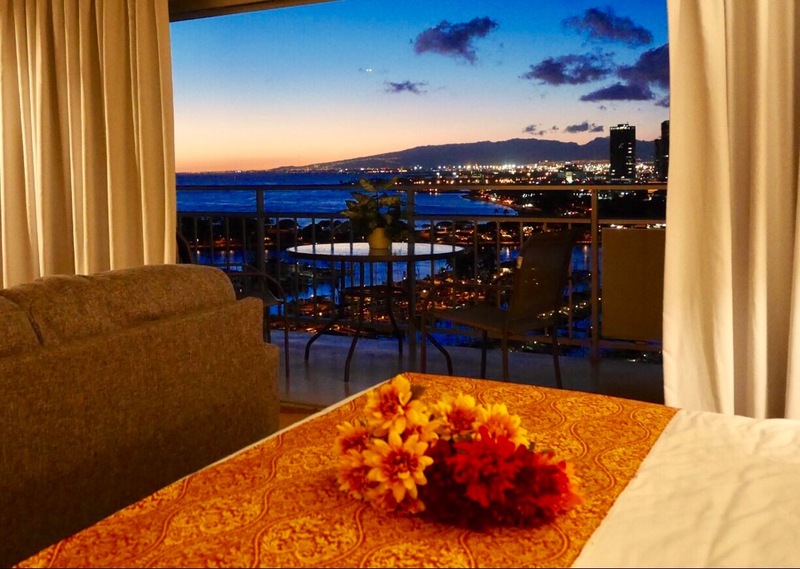 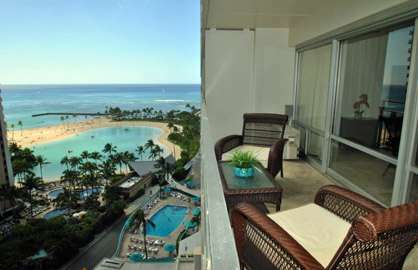 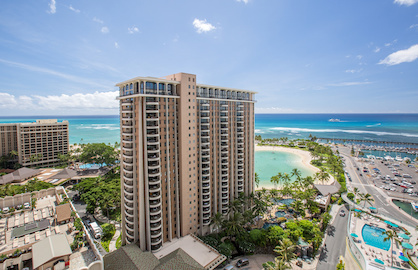 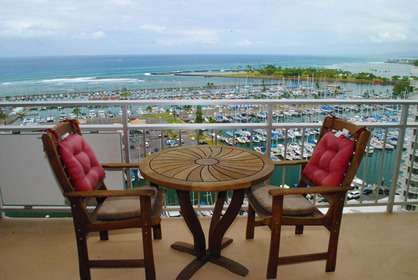 The best location at the Ilikai! 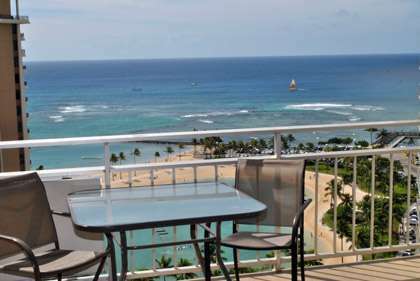 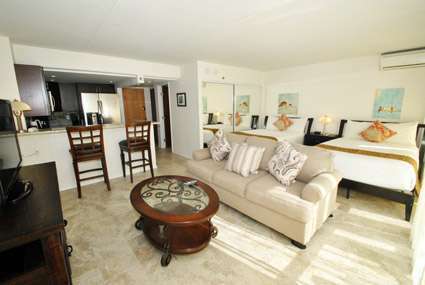 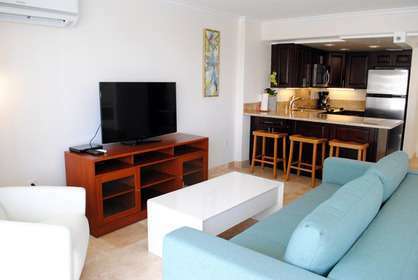 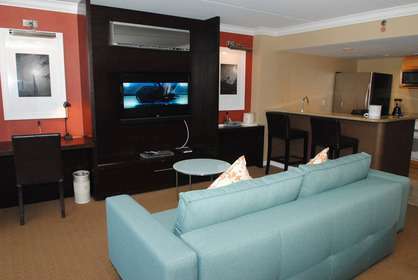 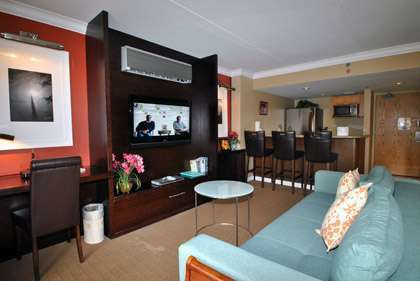 Out on the far point with complete unobstructed sunset ocean views that will make your vacation one you won't forget. 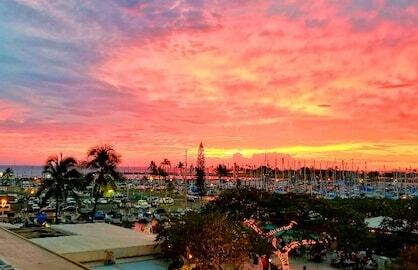 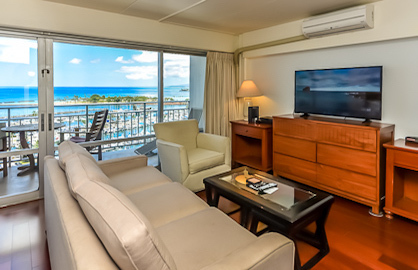 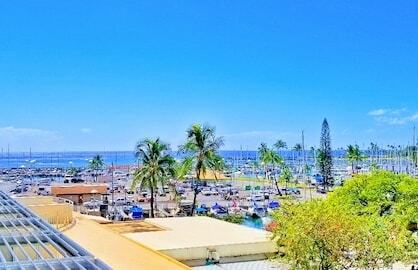 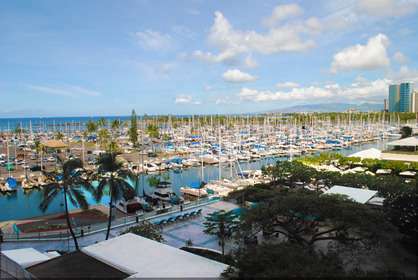 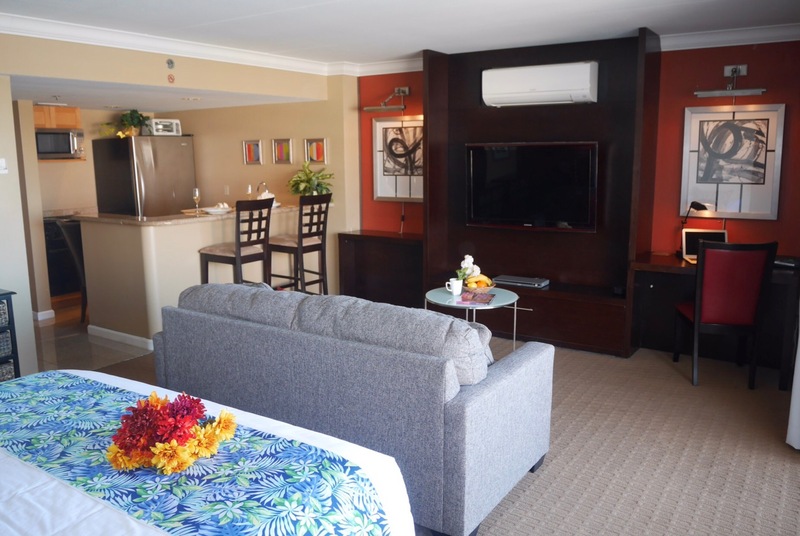 Beautiful well known Ilikai hotel, has the 'wow factor' from when you first open the door...Direct unobstructed ocean views, 20 miles down the coastline. 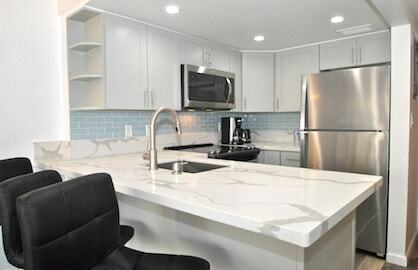 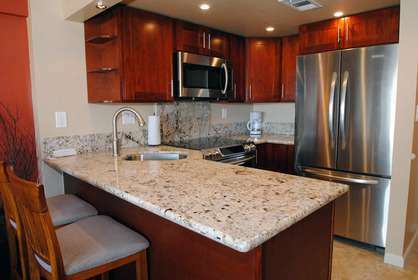 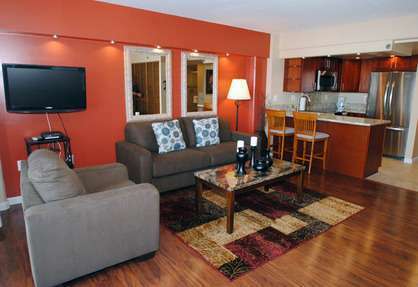 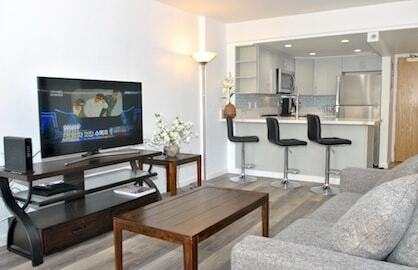 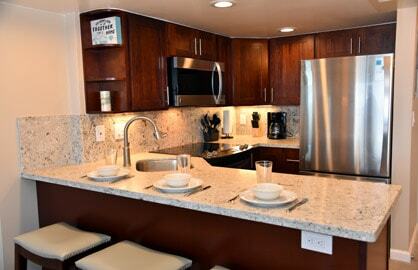 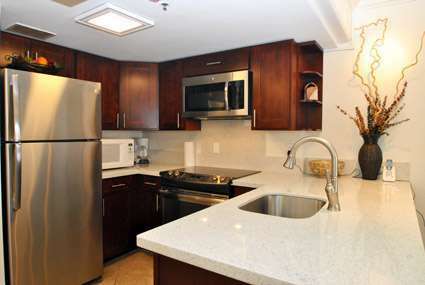 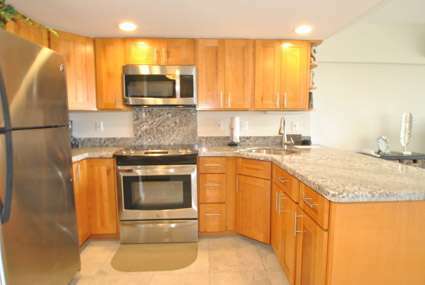 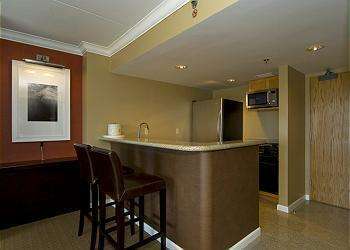 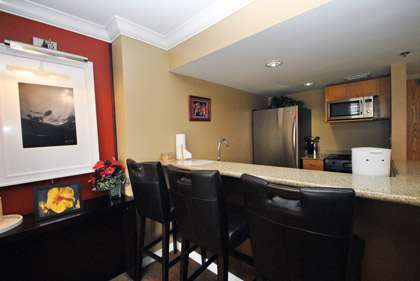 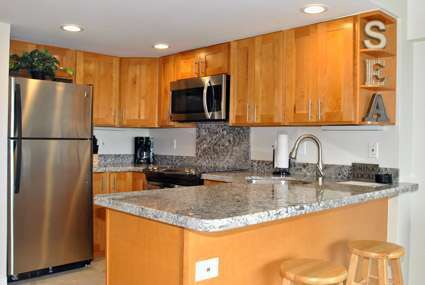 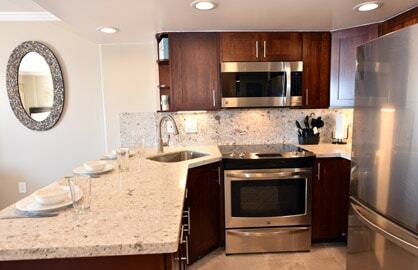 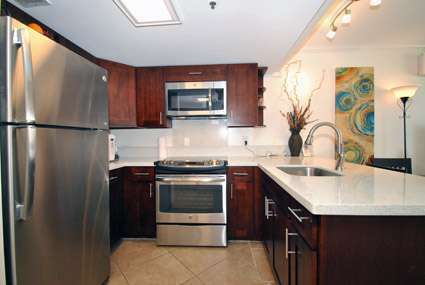 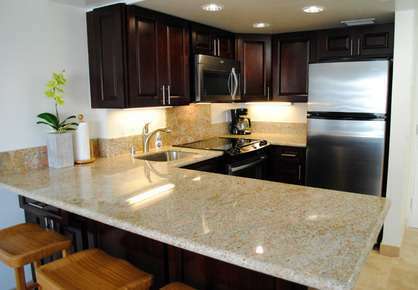 Completely renovated large luxury 1 bedroom condo. 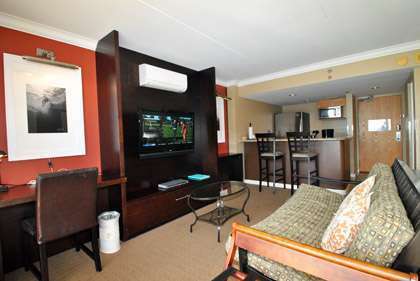 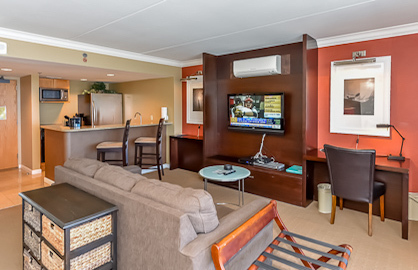 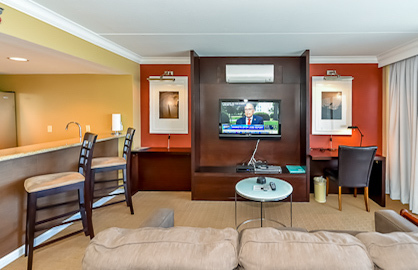 Plus king size bed and new (9/2017) sofa bed, 42 inch flat screen TV, high speed internet with wifi, split A/C keeps you cool inside and the spacious lanai is perfect for outdoor relaxing. 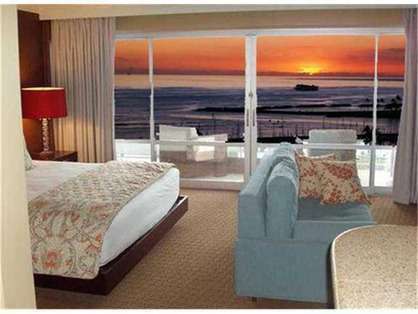 High floor - 21st Floor.